The X-E1 is a great follow up model to Fujifilm's X-Pro 1 providing most of what the more expensive flagship model offers at a significantly lower price point. For purists, an optical viewfinder on a rangefinder style camera will be a must-have feature and the X-Pro 1's hybrid viewfinder is a technological wonder. But if you can live without an optical viewfinder, the X-E1's EVF is one of the best around and is arguably better suited to an interchangeable lens camera. The Fujifilm X-E1 is the second mirrorless model from the company to use the X-mount. It was launched in September 2012 and has the same rangefinder aesthetic and analogue controls as its forerunner the X-Pro 1. In many ways the X-E1 can be seen as a slimmed down, more affordable version of the X-Pro 1, lacking the former’s hybrid optical viewfinder, but sharing most other features including the same 16 Megapixel APS-C X-trans CMOS sensor. Though it’s lost a hybrid optical viewfinder, the X-E1 gains a very impressive electronic one in its place. An OLED design with 2.3 million dots, it ranks alongside the Sony NEX-6 as one of the best EVFs currently in use. One of the biggest criticisms of the X-Pro 1 was its slow AF performance and Fujifilm has moved quickly to address this issue with improvements that claim focus times of 0.1s. X-Pro 1 owners will have been delighted to see similar improvement rolled out in a firmware update for that model. The X-Pro1 launched with three X-mount lenses and Fujifilm has announced announced two more including the Fujinon XF18-55mm f2.8-4 R LM OIS, the first zoom for the system, and the standard bundle for the X-E1. These bring the total number of X-mount lenses at the time of writing to five, with a further five planned for release in 2013. With its retro looks, analogue controls and unconventional sensor you might think the X-E1 was a niche product, but it’s a strong competitor for a range of mirrorless compact system cameras including the Olympus OM-D E-M5, the Sony NEX-6 and NEX-7, and Canon’s EOS M. In my review I’ve compared it with the Canon EOS M. Like Fujifilm, Canon is a recent entrant to this market. Its EF-M Mount has only a couple of lenses (though with an adaptor you can use your EF lenses) and, like the X-E1 it has an APS-C sensor. But there the similarities pretty much end. 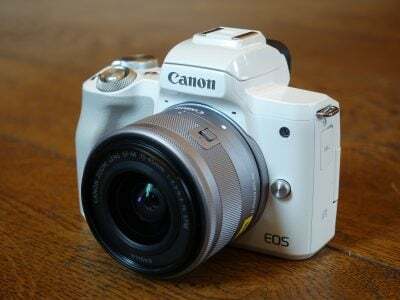 The EOS M lacks a viewfinder, has a touch-screen and is a thoroughly contemporary design more in tune with a modern compact than a 20th century rangefinder. This should prove to be an interesting head-to-head. Do these two radically different approaches to mirrorless compact system camera design appeal only to personal subjective notions of how a camera should look and perform, or is there more to it than that? Read my full review to find out. The Fujifilm X-E1 is at the larger end of the compact system camera size spectrum. The body measures 129x75x38mm and weighs 350 grams. It’s an unreconstructed rectangular slab that apart from slightly chamfered corners steers well clear of curvy pretensions. Nonetheless it’s a good fit in the hand with a rubberised front grip and a pronounced lip at the back against which to rest your thumb. Compared with X-Pro 1 the most obvious difference is the lack of an optical viewfinder which has enabled Fujifilm to shave nearly a centimetre off the X-E1’s height. It’s also a centimetre narrower, 5mm thinner and 100g lighter; with the battery and card fitted the X-E1 weighs only 350 grams, about the same as the Sony NEX-6 and a little heavier than the Canon EOS M at 298 grams. The EOS M is not only lighter, but significantly smaller than the X-E1; with dimensions of 109x67x33mm it’s pocketable in a way that the X-E1 never will be. You can just about get the X-E1 into a generous coat pocket with the 18mm f2 lens attached (but forget the lens hood). Add the new 18-55mm f2.8-4 zoom and you can forget any idea of stowing the X-E1 about your person – it belongs either in your hand, around your neck or in a camera bag. Speaking of the 18-55mm zoom lens, at this point I’ll say only that, while it’s bigger than many of the collapsible and powered zooms now available from Olympus, Panasonic and Sony, it looks and feels good on the X-E1 body, bringing the whole kit up to 660 grams and providing a comfortable balanced grip with the heel of your left hand supporting the camera base and your fingers within comfortable reach of the aperture, zoom and focus rings. I’ll talk more about this and the other lenses in the X-mount range a little further down the page. The X-E1 is available either in all black or with a silver top plate, I reviewed the silver and black model which, if you appreciate retro styling, looks very attractive. The top and front of the body are constructed from magnesium alloy, there’s no dust or moisture sealing but, other than a little bit of give in the zoom lens on the mount, the build quality feels very solid. In the absence of an optical viewfinder and the X-Pro 1’s EVF/OVF switch, the front panel looks understated and classy. The X-E1 badge at the top left (as you hold the camera) is joined by the focus mode switch lower down on the same side. On the opposite side of the lens mount at the top is the AF assist lamp and lower down on that side, right next to the lens mount is the lens release button. The X-E1’s top panel looks almost identical to that of the X-Pro 1, with the exception of the pop-up flash, an inch-square panel to the left of the standard hotshoe, forward of which are two tiny holes for the built-in stereo mics. The most prominent feature on the X-E1’s top panel is the large shutter speed dial. This has been slightly simplified from the X-Pro1 with the removal of the half and 1s positions, now accommodated within the T position. The central locking button, which prevented accidental movement from the A to manually selected speeds is also gone, but as the dial doesn’t protrude from the rear and requires both your index finger and thumb to move it, the risk of this happening is small and I certainly didn’t find it a problem. The exposure compensation dial might, on the other hand, benefit from a lock of some kind. Some users have reported accidental movement, but I didn’t find it as much of a problem as other models. 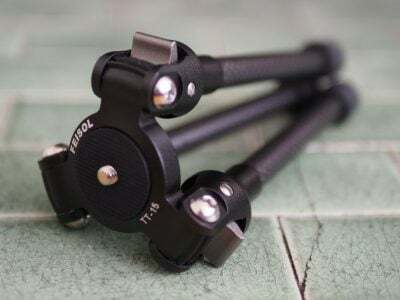 It has very definite click stops with a fair degree of resistance, though it is possible for it to get nudged going in or out of a pocket or camera bag. The dial has positions for +/- 2EV exposure compensation in 1/3EV increments. Forward of the exposure compensation dial and to the right of the shutter release on the corner of the top panel there’s the same programmable Fn button as on the X-Pro 1. The old-school shutter release is threaded so will take an inexpensive cable release. I tried it with mine and it worked perfectly, though some people might consider it a bit of gimmick as the X-E1 also has inputs for an electronic remote. Surrounding the shutter release is a retro-fashion, but distinctly modern on/off switch. Moving round to the back of the camera, The X-E1 has a very similar control layout to the X-Pro 1, but there are some significant differences. First there’s the viewfinder which is a conventional, if that’s the word, electronic viewfinder rather than the hybrid optical/electronic viewfinder of the X-Pro 1; I’ll talk more about that a little later. For now I’ll just point out that the proximity sensor is retained so the screen switches off and the EVF automatically activates when you put your eye to it. Fujifilm has also added dioptre correction which will be a welcome addition for spectacle wearers. To the right of the viewfinder there’s a new button to activate the pop-up flash and to the right of that the view mode button which manually switches between the screen and EVF. Moving further right and perfectly positioned for your right thumb is the command dial, used for menu and playback navigation. The top-mounted exposure compensation dial protrudes at the rear and a cylindrical bulge extends downward the camera back on which are mounted the AE-L/AF-L and Q (quick menu) buttons. This also provides some useful additional grip to stop your thumb sliding off the right edge. Also on this side of the rear panel you’ll find a four-way controller, and display mode button. The playback button is at the top of a column of four buttons to the left of the screen which also includes drive mode, AE mode and AF point selection buttons. These double up as magnifier and delete buttons in playback mode. Though the X-E1 is generously endowed with physical controls the layout doesn’t look at all cramped, quite the opposite. There’s plenty of space between the large lozenge-shaped buttons and after a very short while you can confidently operate them by touch alone without the need to remove your eye from the viewfinder. On the left side of the X-E1’s body is a small hinged plastic door which opens to reveal a mini HDMI port, USB 2 port and a 2.5mm socket for attaching an external microphone. 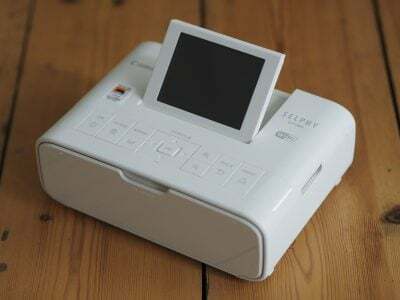 The USB port also accepts Fujifilm’s RR-80 remote release, while the mic socket can be used with some Canon (you’ll need the type with a 2.5mm jack rather than Canon’s proprietary connector) and third party remote release accessories. The XE-1 lacks the X-Pro 1’s PC sync socket for external flash units, but I think the ability to connect a remote release or interval timer is actually much more useful, added to which you can easily pick up inexpensive hotshoe mounted PC sync accessories. On the base of the X-E1 the tripod bush is offset from the lens axis, close to the door to the combined battery and SD card compartment; had it been centrally located you could have switched cards without removing the camera from a tripod or removing a quick-release plate from the camera base. 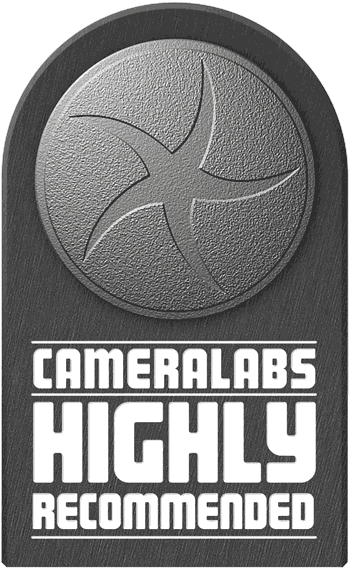 The X-E1 takes SD cards including HC and XC variants and is compatible with UHS-1 cards. The X-E1 takes the same NP-W126 battery as the X-Pro 1. With a rating of 1260mAh it provides enough power for 350 shots under CIPA standard conditions with the XF35mm f1.4 lens. With its electronic viewfinder, the X-E1 doesn’t have the option to increase battery life by falling back on the optical viewfinder like the X-Pro 1, so for extended use it makes sense to carry a spare. Though there’s an HG-XE1 accessory hand grip available, it’s exactly that, an extension to improve handling and doesn’t provide space for an additional battery or extended controls as on the HLD-6 Power Battery Holder for the Olympus OM-D E-M5. The remaining battery power is shown by a three-segment icon on the rear screen and in the viewfinder. The X-E1 has a built-in flash unit that pops up from the top panel and retracts when not in use. To extend the flash you press a button just behind it on the rear panel which activates an internal mechanical catch allowing the flash to spring up and forwards, providing good clearance from the lens. Even with the 18-55 lens and hood attached, you need to be very close to the subject in order to produce a lens shadow with the flash. The flash has a Guide Number of 7 in metres at 200 ISO, so it isn’t especially powerful, but provides enough illumination for fill-in use and indoor portraits. Though it doesn’t have a built-in flash the EOS M kit includes the EX90 mini flash unit which has a Guide Number of 9 at 100 ISO. The X-E1’s flash has red-eye reduction, slow synchro and 2nd curtain sync modes and can also be used in ‘Commander’ mode to fire remote units. The flash can be used at shutter speeds of 1/180th or slower. The X-E1 lacks the hybrid optical/electronic viewfinder which is one of the defining characteristics of the more expensive X-Pro 1. In its place is an electronic viewfinder, but while the X-Pro 1’s innovative optical viewfinder with its sophisticated electronic overlays offers a best of both worlds approach, a ‘conventional’ EVF is arguable better suited to an interchangeable lens camera. And the X-E1’s EVF is far from ordinary. It’s a 0.5in OLED screen with 2,360,000 dots providing a 100 percent view. In terms of resolution that puts it on a par with the Sony NEX-6 and NEX-7’s 2.4 million pixel OLED viewfinder. It’s also superior to the X-Pro 1’s EVF which uses a 1.44m dot resolution 0.47 inch LCD. The EVF is 4:3 proportioned and displays shooting mode and exposure information at the bottom of the screen with a scale for exposure compensation overlayed on the left. Pressing the display button provides a more detailed customisable information overlay that includes a grid overlay, single-axis level, AF and MF distance scales, live histogram, metering mode, film simulation, dynamic range, frames remaining, image size and quality, and battery level. It’s a straightforward setup which provides the option of a simple uncluttered view or one containing exactly the information you’ve decided you need. If there’s one criticism I’d make of the X-E1’s viewfinder it’s that, as on the X-Pro 1, it lacks sufficient shielding. I frequently found myself having to remove my left hand from the lens barrel to shield the eyepiece from the light. The rear LCD screen measures 2.8 inches diagonally – slightly smaller than the 3 inch screen of the X-Pro 1, the Canon EOS M and in fact the majority of mirrorless models. The screen has a resolution of 460k dots – so it also falls well below the 1.23m dot) resolution of the X-Pro 1 and also the EOS M at 1040k dots. But while fine detail on the X-E1’s screen isn’t quite as cleanly depicted as on models with panels made up from a million plus dots, it does a pretty good job. Like the EVF you can toggle the custom information overlay with the display button but there’s also a third Info display position that does away with the Live view and instead presents only the settings in large type with a graphic display of the selected AF point in the middle. As on the X-Pro 1 and the EOS M, the XE-1’s screen is fixed, so you can’t flip it up for waist level shooting or adjust it to keep the sun off. On a camera with such a capable electronic viewfinder I think this is much less of an issue than it would otherwise be. Personally, I rate a good quality viewfinder above anything you can do with a screen, but opinions vary and there’s no denying that models with articulated screens, such as the OM-D E-M5, NEX-6 and NEX-7 provide greater opportunity for shooting from unusual angles as well as self-recording. In this respect, the EOS M, with no viewfinder or even the option to fit one, and a fixed LCD screen is arguably the worst of all possible worlds. The X-E1 is the second body featuring Fujifilm’s X-mount, debuted with the X-Pro 1 in January 2012. The mount exploits the absence of a low-pass filter to achieve a very short flange back-distance of 17.7mm, along with a wide opening allowing very deep mounting of the lenses. Indeed the distance between the sensor and the rear element of the 18mm f2 is just 11mm. Due to the APS-C size of the sensor, the field of view is effectively reduced by 1.5 times. At the time of launch, the X-mount system consisted of three fixed focal length prime lenses. The XF18mm f2 R with an equivalent focal length of 27mm, a maximum aperture of f2.0, closest focusing distance of 18cm and a 52mm filter thread; it measures 65x51mm and weighs 116g. The XF35mm f1.4 R with an equivalent focal length of 53mm, a maximum aperture of f1.4, closest focusing distance of 28cm and a 52mm filter thread; it measures 65x55mm and weighs 187g. Finally, the longest of the initial three is the XF60mm f2.4 R Macro which has an equivalent focal length of 91mm, a maximum aperture of f2.4, closest focusing distance of 26.7cm (for 0.5x reproduction) and a 39mm filter thread; it measures 64x71mm and weighs 215g. Coinciding with the launch of the X-E1 Fujifilm has added two new lenses to the range. The first is a general purpose 3x zoom with an equivalent range of 27-83mm; the Fujinon XF18-55mm f2.8-4 R LM OIS. This is not only the first zoom for the X Mount, but the first to also provide image stabilisation. It also differs from the other lenses in the range in that rather than an aperture ring with fixed values it has an unmarked ring that rotates through 360 degrees. The currently selected aperture value, which varies depending on the zoom, is displayed in the viewfinder and on the screen. The 18-55mm f2.8-4 is effectively the kit zoom for the X-E1 and it’s this lens that I used for the outdoor resolution and high ISO noise testing. Like the primes the kit zoom boasts a respectably bright focal ratio with rounded aperture blades and metal construction. It’s worth noting most 18-55mm kit lenses have a slower focal ratio of f3.5-5.6, making the new Fujinon two thirds of a stop brighter when zoomed-out to 18mm and one whole stop brighter when zoomed-into 55mm. Announced at the same time as the 18-55 zoom, but delayed in production, the Fujinon XF 14mm F2.8 R has a 35mm equivalent focal length of 21mm. This lens features a variation on the focus ring of the earlier primes with a push/pull ring that slides backwards to reveal distance and depth of field scales. Fujifilm claims three stops of stabilisation for the 18-55mm zoom, a claim I tested by shooting with it zoomed to the maximum 83mm equivalent focal length and shooting sequences of images at progressively slower shutter speeds with the stabilisation turned on and then with it off. As you can see from the two crops below, the 18-55mm zoom is capable of a little over the three stops claimed by Fujifilm, producing sharp detail down to 1/8th where conventional wisdom would suggest a shutter speed of at least an 80th. 100% crop, 18-55mm 100 ISO 1/8th IOS Off. 100% crop, 18-55mm 100 ISO 1/8th IS On. As with the EOS M, and indeed any recently introduced lens mount, options will be limited for a time, but with five lenses already available and another five planned by the end of 2013, Fujifilm seems determined to grow the X-mount library at a fast pace. Among the lenses planned for release in 2013 are a 56mm (84mm equivalent) f1.4 portrait lens, a 27mm (41mm equivalent) pancake lens, a 10-24mm f4 super-wide angle zoom and a 55-200mm f3.5-4.8 zoom. Both the new zooms, like the 18-55mm will be stabilised. The X-E1 replicates the shooting modes of the X-Pro 1 so I won’t go into too much detail about them here, you can read more about them in my Fujifilm X-Pro 1 review. One thing that’s central to the philosophy of both X-series models though is their adherence to the conventional method of setting the aperture and shutter speed, so you won’t find a shooting mode dial of the sort commonly found on digital cameras. Instead the X-E1 opts for a conventional shutter speed dial marked with speeds from 1/4000 to 1/4s plus T for timed exposures of half to 30s and B for Bulb exposures of up to an hour. On the prime lenses, which have marked aperture positions, setting the aperture ring to the A position sets the aperture automatically. Selecting A for both the shutter and aperture sets Program AE completing the full PASM set. So there’s no exposure mode selection as such, it’s determined by the position of the aperture and shutter speed rings and the conventional simplicity of this approach has a lot to recommend it. Similarly the X-E1 lacks the digital filters and creative modes that have found their way from point and shoot compacts to mirrorless models including the EOS M, Olympus OM-D E-M5 and Pen range and the NEX models. In their place is a choice of film simulation modes that reference Fujifilm’s legacy film stock. The default colour rendering mode is Provia, replicating Fujifilm’s colour slide film stock, there’s also Velvia – a high saturation transparency film popular with landscape photographers, and Astia (for portraits). Other film simulation modes include Pro Neg Hi, Pro Neg Std, Monochrome, several filtered monochrome options and finally sepia. If you’re not familiar with, or even a fan of Fujifilm film stock, these film simulation modes may strike you as little more than self-indulgence on Fujifilm’s part. Looked at another way, they’re really just scene modes for grown ups and I’d guess that many professionals and photo enthusiasts would far rather these than the alternative toy camera, miniature, and 3D modes favoured by much of the competition. Which is not to say the X-E1 is entirely without gadget modes – it has a Motion Panorama mode similar to the Sweep Panorama mode on the NEX-7 and many other Sony compacts. It takes a series of shots as you pan the camera and then stitches them together. You can shoot panoramas with the camera in landscape or portrait orientation with a maximum resolution of 7680 x 1440 or 2160 x 7680 respectively. The size is determined by the horizontal angle of view which at its widest setting can capture a 180 degree view with the 18mm lens. Motion Panorama mode is selected from the Drive menu which in addition to continuous shooting and movie modes offers a range of bracketing options including AE, ISO, film simulation and dynamic range bracketing. AE bracketing shoots just three shots at up to plus or minus 1 EV at 1/3rd EV increments, so not the best tool for HDR enthusiasts. There is, however, a dynamic range setting which can be moved from its default 100% position to 200% or 400% increasing detail recorded in the shadow and highlight tonal ranges. Dynamic range mainly affects highlight detail and it’s not as effective at improving tonal reproduction as Sony’s DRO on the NEX-7. Another drawback is that you can’t select the 200 percent DR setting below 400 ISO and for 400 percent the lower ISO limit is 800 ISO. The X-E1 inherits the movie modes of the X-Pro 1 shooting HD video at 1080p resolution and 24 frames per second. Video is encoded using the h.264 codec at an average bitrate of around 15Mbits/s and saved in a QuickTime .mov file. There’s also a lower resolution 720p24 HD mode. Stereo sound is recorded via twin mics located in front of the hotshoe on the top panel. Unlike many mirrorless compact system cameras which put movie recording on an almost equal footing with stills shooting, on both the X-Pro 1 and X-E1, movies are very much a second string. With no dedicated movie record button, you must first select movie mode from the Drive menu before pressing the shutter release to start and stop recording; you can assign the Fn button to switch to movie mode, but you still need to press the shutter release to begin recording. The X-E1 suffers from the same quirk I reported on the X-Pro 1, where a second press of the Fn button returns you to the still image capture mode – not the mode you were previously in. For example if you’re continuous shooting and you decide you want to shoot a short video clip you must first press the Fn button, then press the shutter release to start and stop recording. Pressing the Fn button a second time returns you not to continuous shooting drive mode, but to single image capture mode, so if you want to carry on in continuous drive mode you have to reselect it from the Q menu. It’s disappointing to see this is still the case, given the absence of a dedicated movie record button, Fujifilm could do a lot more to make it easier to shoot movies on the X-E1. A good start would be to have the Fn button start and stop recording directly. Prior to recording you can set the aperture, exposure compensation, white balance and film simulation. The X-E1 automatically selects continuous AF in movie mode unless you have manual focus selected. With all three prime lenses the AF during movie shooting is reasonably sure footed, but it has a tendency to hunt in low light which can result in clips that are all but unusable. The maximum single clip recording time is 29 minutes. If you’re looking for a something that’s as much a movie as a stills camera, the X-E1 probably isn’t for you. The EOS M by comparison offers a much wider range of modes including 1080p at 24, 25 and 30fps and 730p50. It has a dedicated movie record button (though you have to have the mode dial in the Movie position to use it, which sort of defeats the point) and allows full manual exposure control. Finally, with its hybrid AF system featuring phase detect points on the sensor, the EOS M offers superior continuous AF performance for movie shooting. This clip, along with the other samples shown here were shot in the X-E1’s best quality 1080p24 mode. The X-E1 has made a good job of the exposure and the stabilisation on the 18-55mm kit lens does a good job of ironing out wobbles both during panning and zooming. The X-E1 automatically switches into Continuous AF for movies unless the front-mounted switch is set to manual focus. It does a reasonably good job here, but loses it a little during the zoom. For this tripod-mounted panning shot I disabled the stabilisation on the 18-55mm lens. The X-E1 makes a good job of the exposure and isn’t thrown by the bright refelctions on the water. However, something odd happens to the auto exposure during the beginning of the zoom with the brightness oscillating before settling down. As on the previous clip, the AF loses track a little during the zoom, but in its favour the 18-55 has one of the smoothest zoom rings I’ve used. Indoors in low light, with the stabilisation enabled the quality is good with little noise, good exposure and white balance control, but the continuous AF never really settles. The coffee cup example here tests the Fujifilm X-E1’s continuous AF performance. The contrast detect system is pretty slow to react when panning from the coffee cup to the more distant bar and generally you’d be better off using manual focus. This was one of its better performances and even in good light continuous AF for movie shooting can be very hit and miss. The X-E1’s rangefinder styling is about more than just looks. It promises a handling experience that some would argue has been lost in the digital era, with simple single-function physical controls for the fundamental elements of exposure. A shutter speed dial on the top of the camera and an aperture ring, marked with f-stops in some cases, on the lens. The only thing that’s missing is an ISO sensitivity dial, and though I’d say there’s a strong argument for including one, between them the exposure compensation dial and the Fn button provide a viable alternative. With the fundamentals taken care of everything else is accessible using the rear screen in combination with the other buttons which are nice and big, clearly labelled and dedicated to the features you’re most likely to need. Aside from the macro button, the four way controller is used for navigation and moving the AF point (having first pressed the AF button) and has no secondary functions. On other models this might result in too much reliance on menus, but there’s a dial for exposure compensation, a programmable function button, a dedicated Drive mode button and a Q button for all the other important stuff. My only gripe here is that the self-timer options would be better placed on the drive menu rather than, or as well as the Quick menu. Movie makers will also hate that there’s no dedicated movie record button. If you’re torn between the X-Pro 1 and the X-E1 and are worried that the latter might offer a less satisfactory handling experience you needn’t be; the two are virtually identical in terms of the physical control layout and menu operation. About the only significant difference is the ability to switch from electronic to optical viewfinders on the X-Pro 1 and if you’re happy looking through an EVF the X-E1’s is actually the better of the two. There are a couple of irritating niggles on the handling front. The X-E1’s viewfinder provides an excellent view in most situations, and has an integral soft rubber surround that’s comfortable, but doesn’t do a great job of shielding it from extraneous light. I frequently found myself having to cover the top of the camera with my left hand to get a better view. And secondly, even with the proximity sensor activated so that the view automatically switches between the LCD screen and the EVF, the image preview is displayed on whichever was in use when you took the shot. So you can’t shoot with the EVF, then get a quick 1.5 or 3 second preview on the LCD. For that you need to set the preview time to continuous. A great camera in many respects, the X-Pro 1 was badly let down by its slow AF performance, so naturally with the arrival of the X-E1 the AF is one area that has attracted particular scrutiny. Fujifilm says the AF has been greatly improved and claims AF speeds for the X-E1 of 0.1s when paired with the 18-55mm f2.8-4 kit lens. As on the X-Pro 1, three focussing modes are available, Single AF, Continuous AF and manual, selected using a switch on the front panel. From a handling perspective this is ideal incidentally, allowing you to switch focus modes using your left index finger without taking your eye from the viewfinder. Another nice touch is that in manual mode you can activate the AF for ‘One-touch AF’ by pressing the AF lock button. There’s no face detect or tracking AF though, which puts the X-E1 at a real disadvantage compared with models like the Canon EOS M and Olympus OM-D E-M5 and PEN models. In practice, the X-E1’s AF with the kit lens is a big improvement on the original release of the X-Pro 1. In good lighting the response is quick and confident. Once the light begins to fall it’s less sure of itself, something that could be said of some other mirrorless models, but here it’s a question of degree. The X-E1 slows down a little but the gap between pressing the shutter and AF responding is still only a short fraction of a second. The confused hunting back and forth that afflicted the X-Pro 1 in low light is happily absent. That’s a big improvement on both the X-Pro 1 and the Canon EOS M, both of which perform fairly lamentably in similar conditions, but it falls well short of the best of the mirrorless AF performers from Olympus and Panasonic. X-Pro 1 owners will be be pleased to know that in January 2013 Fujifilm released the Ver2.03 firmware update for the X-Pro 1 improving the AF accuracy under a variety of conditions. Like the X-Pro 1, the Fujifilm X-E1 has two continuous shooting speeds: 3 and 6fps, and in both modes the focus and exposure are locked on the first frame. To test the X-E1’s continuous shooting performance I fitted it with a freshly formatted Sandisk Extreme Pro 16GB UHS-1 card with a 95MB/s write speed. I set the X-E1 to shoot Fine quality JPEGs at the 6fps speed and with the ISO set to 200 and the shutter speed at 1/250 held the shutter down. The X-E1 fired a burst of 16 frames at 5.7 frames per second, before stalling and slowing appreciably. With the quality set to RAW the X-E1 managed a burst of 12 shots before slowing to around 1fps. I timed the 12 shot burst at 5.7fps – exactly the same as for the JPEGs, so the X-E1 manages close to its 6fps claimed top speed for both JPEGs and RAW files. To empty a full buffer takes around eight seconds for JPEGs and fourteen seconds for RAW files. You can continue to shoot at a much slower rate once the buffer is filled but if you wait for a couple of seconds you can shoot another short burst while the buffer continuous to write. 6fps is middling in terms of continuous shooting performance for a mirrorless camera. It’s slow compared with the 15fps now offered by the Nikon 1 system (with AF), 10fps NEX models, and 9fps for the OM-D E-M5. It does, however, beat the 4.7fps top speed of the Canon EOS M, with both models providing similar sized buffers. One other point worth noting is that the X-Pro 1 has an advantage over the X-E1 and indeed other mirrorless models that rely on live view for continuous shooting. You can follow the action as it happens through the X-Pro 1’s optical viewfinder, whereas with the X-E1 and all the others, you’re reduced to seeing the last frame shot, which makes following fast action moving subjects a great deal more difficult. The X-E1 uses the same 16 Megapixel X-Trans CMOS sensor developed for the X-Pro 1. The key difference between it and conventional sensors is the colour filter array. In a traditional digital camera sensor, each photo site is covered by a coloured filter arranged in a repeating pattern. The most common pattern uses a two-by-two square array with one red, one blue and two green filters; this is known as the Bayer pattern after the Kodak engineer who invented it. Software then interprets this data to generate a full colour image in a process known as de-mosaicing. The more complex pattern does, however, require a more intensive de-mosaicing process to generate a full colour image, and to cope with the number-crunching, Fujifilm has equipped the X-E1 with its new EXR Processor Pro. A new and complex pattern also needs more involved RAW processing, at the time of writing support for the X-Trans sensor’s RAW files is slowly materialising with improved support in ACR 7.4 (currently in release candidate) as well as support from Capture One, and Corel PaintShop Pro X5. The X-E1 is fitted with a mechanical focal-plane shutter with a range of 30 seconds to 1/4000 and a flash synch speed of 1/180. The Bulb mode can support exposures up to 60 minutes long, and once again you can use a cheap mechanical cable release. Exposure compensation is available from +/-2EV and 3-frame bracketing in 0.3, 0.7 or 1EV increments. To see how the quality of the Fujifilm X-E1 measures-up in practice, take a look at my Fujifilm X-E1 quality and Fujifilm X-E1 noise results pages, browse my Fujifilm X-E1 sample images, or skip to the chase and head straight for my verdict.